Carrots are a biennial plant, though when grown for the edible root they are usually harvested after just one year. If you want to save the seed from your carrot plants you must help them survive over winter so you can harvest seed in the second summer after planting. Saving your own seed allows you to always have access to your favorite carrot variety while also saving you money. Leave a few carrots to grow after harvest each year and you will have a steady supply of seeds to replant each spring. Cover the carrots in the garden with a 4-inch layer of straw mulch in fall if you live in an area with mild winters where the ground doesn't freeze. In areas with freezing winters, carefully dig up the carrot roots and store them in cool, moist sand in a cool room until the ground thaws in spring. Replant dug-up carrots once the ground thaws in spring or remove the mulch from carrots left in the bed over winter. Replant carrots you are growing for seed 30 inches apart as the roots become quite large in the second year. Harvest the seed head once it dries and turns brown, usually in mid- to late-summer. Cut off the entire flower stalk with the large, bulbous seed head intact. Break the seed head open over a bowl and shake out the carrot seed. Remove any plant matter from the bowl then pour the seeds into a jar or envelope. Label the envelope with the carrot variety and year harvested. Store in a 40 degree F, dry room until ready to plant. Carrot seeds remain viable for up to five years, though the best germination rate occurs within the first two years after harvesting. 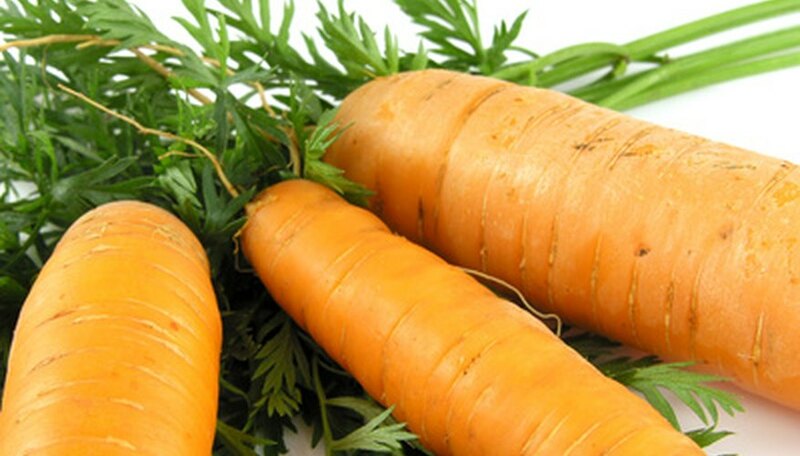 Carrots readily cross-breed with wild carrots, which may produce undesirable traits. Ensure there are no wild carrots growing in your landscape and plant extra seed to make up for any inedible vegetables that result from cross-breeding.